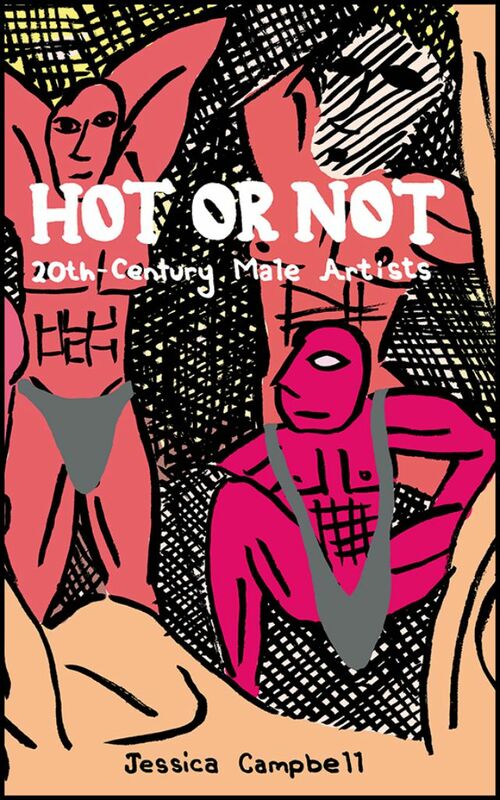 Join us on Saturday, October 29th at 7:00 pm for an evening with Jessica Campbell as she launches Hot Or Not (Koyama Press) alongside D+Q author Keith Jones! 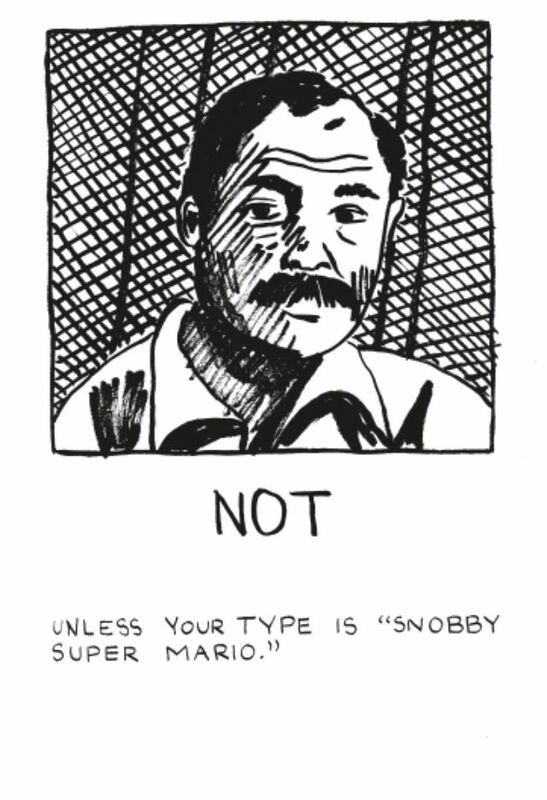 In this book, modern males get the Tinder treatment as Artforum meets MAD Magazine. Picasso? 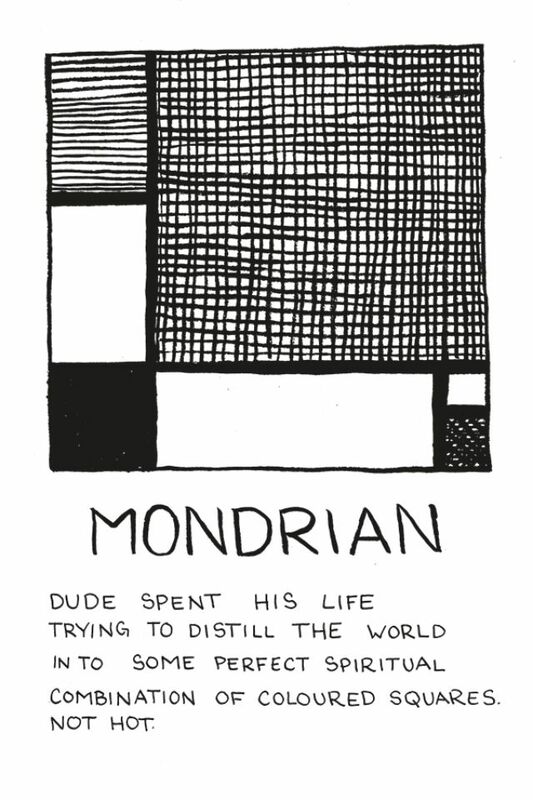 More like Picasso-so. The history of 20th-century art is filled with men, but one key component has always been missing: which of these men are boneable, and which are not. Campbell has created the definitive resource on the subject in this hilarious rundown of male artist hotness and notness. JESSICA CAMPBELL is from Victoria, BC and is an enthusiast of jokes, painting and comics. She completed her MFA at the School of the Art Institute of Chicago, where she was the recipient of the Edward L. Ryerson Fellowship, and also a comics instructor. She has exhibited work in Canada, the United States, Australia, and Greece.